Showing photos of the world’s toilets is becoming a popular activity in part because of the growing attention being given to the problem of sanitation in countries where toilets are not readily available. 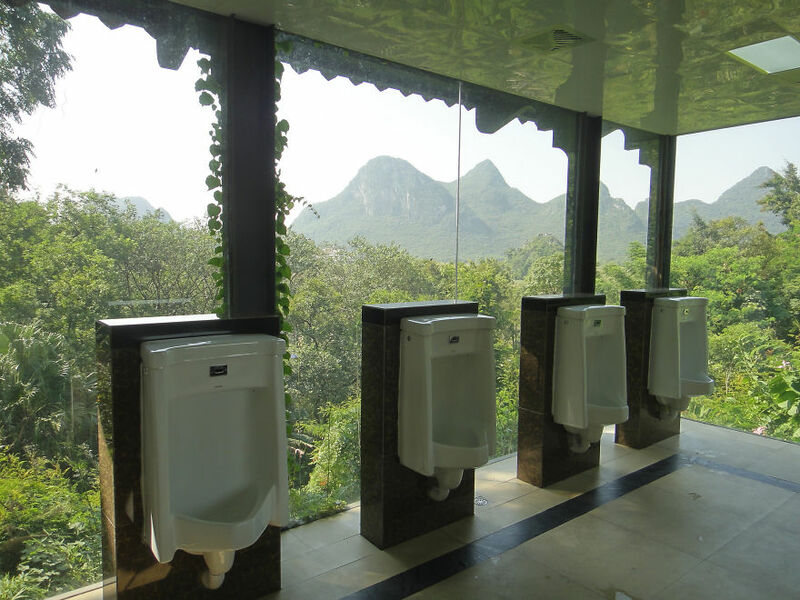 When thinking about this idea, we found some stunning restrooms with a view. Normally, these spaces have no windows at all or at least have windows that are opaque or covered with blinds for privacy. Not these Loos With A View. For today’s Daily Create, make or describe a place where someone can comfortably relieve themselves before nature in all of its glory. Each day a small creative challenge associated with DS106 the open digital storytelling course. Since September 1, 2015 there been 19449 responses to 1336 Daily Creates by 964 people (plus more in the previous version of this site).